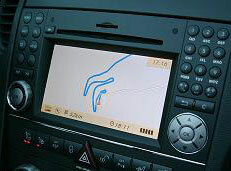 At av solutions we have been specializing in the installation of products and services for mercedes for the last 8 years. We currently supply & fit products to over 20 Mercedes-Benz dealers over the North West & Midlands . 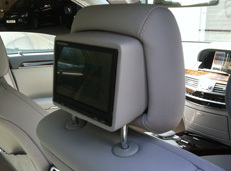 At AV Solutions we have developed a system that works in conjunction with the hard-backed “Neckpro” safety headrests that are becoming a standard fixture in most new vehicles . Unlike most installations available that would entail replacing the factory headrests with aftermarket ones our system allows you to keep your existing headrest with all its safety features . 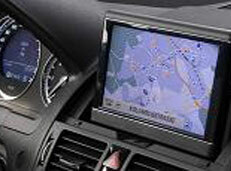 We supply & fit Mercedes Comand units for most of the Mercedes range including the latest comand online versions . All Mercedes Comand units come with a 1 year parts & labour warranty and include professional installation . Please Note : We do not supply only, all comand units would need to be installed by av solutions to receive your warranty. All vehicles that have comand units fitted will be fully programmed . 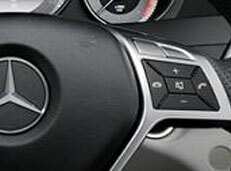 Although all new Mercedes come factory fitted with Bluetooth , most earlier Mercedes pre “2011” didn’t . We have a variety of options available for these cars to make you handsfree and legal ! 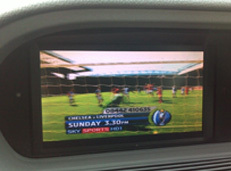 Front Screen Inputs are available to enable DVD or Digital TV Tuner through your existing screen . Please contact us for prices and compatibility. 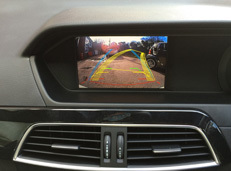 We now stock a full range of reversing camera kits for all the Mercedes model range , our reversing camera kits work through the factory screen and will auto switch when reverse is selected in the same way as a factory fitted unit would do , we also include vehicle specific cameras with all our packages . We can now also offer reversing camera kits with movable grid lines. 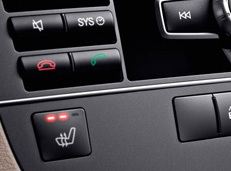 You will see going through our website that we specialize in the installation of Heated Seats to most vehicle using a separate switch , we are now able to use factory switches on most of the Mercedes range for an additional cost.